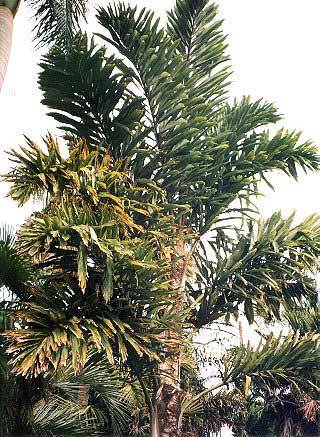 Description: An extremely unusual looking palm in which the leaves form just two rows on either side of the trunk. The long coarse leaves are dark green above and grayish white underneath. Unfortunately it only lives to about 15 years.